Setting up the new camp on the summer location. 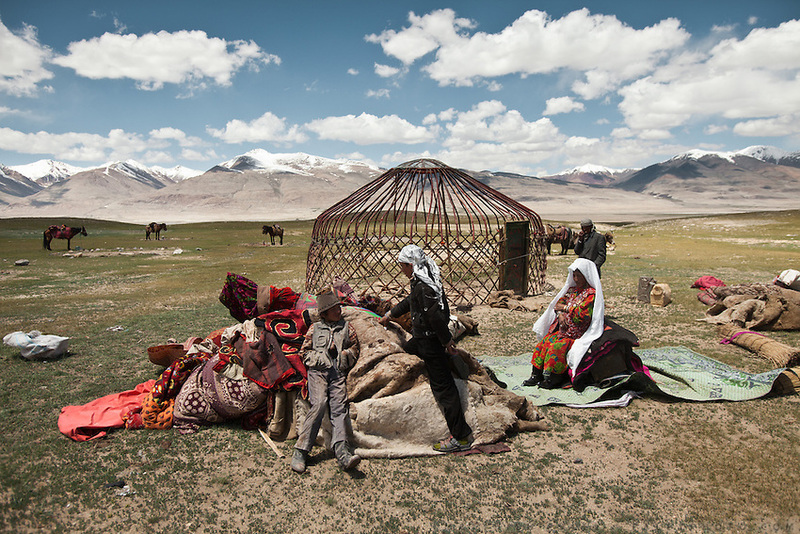 Afghan Kyrgyz are nomads. The skeleton of a yurt awaits its felt cover..The summer camp of Kara Jylga, Mullah Abdul Haq place...Trekking through the high altitude plateau of the Little Pamir mountains (average 4200 meters) , where the Afghan Kyrgyz community live all year, on the borders of China, Tajikistan and Pakistan.